For book-related media inquiries interviews, or speaking engagements please contact info@michellemaidenberg.com. Michelle is always interested in hearing from readers. To reach her directly, please email info@michellemaidenberg.com. Michelle P. Maidenberg is president and clinical director of Westchester Group Works, a center for group therapy in Harrison, NY, where she also maintains a private practice. She is an adjunct graduate professor of Cognitive Behavioral Therapy and Human Behavior at the Silver School of Social Work at New York University. A contributing editor of GROUP, the journal of the Eastern Group Psychotherapy Society, Dr. Maidenberg has also published in varied professional journals, the New York Times, the Daily News, Fitness, Woman’s Day, Parents, and many other publications. Her book Free Your Child from Overeating guides parents through mind-body strategies that help kids and teens develop life-long healthful behaviors. Actively engaged in promoting the health of her community, Michelle is the cofounder and clinical director of the Thru My Eyes Foundation, which helps parents with life threatening illnesses create a video legacy for their families. She is on the board of directors at the Boys and Girls Club in Mount Vernon, NY, and volunteers as a Disaster Mental Health Practitioner with the American Red Cross and as a Volunteer Clinician with the Westchester County Trauma Recovery Network. Children First, an institute at Fordham University whose mission is to support mental health professionals in delivering excellent care for children and families, presented her with an Award of Appreciation of Service. 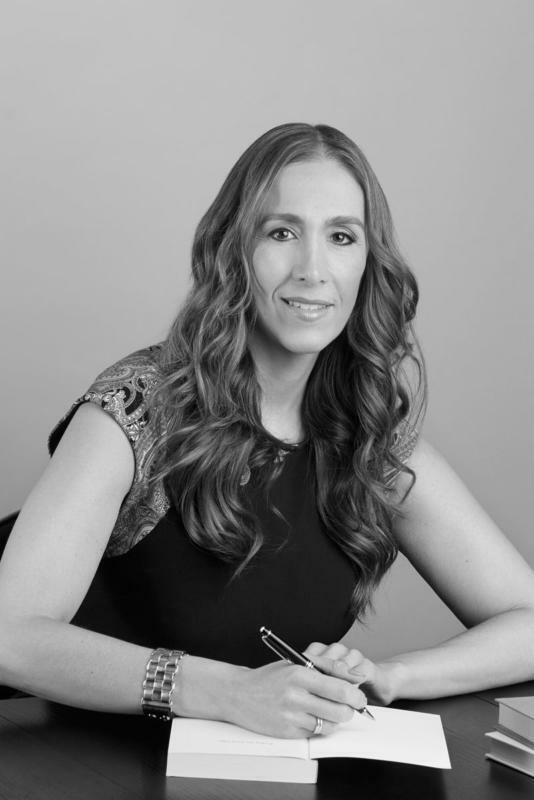 Michelle received her Ph.D. from Yeshiva University, her Master’s in Clinical Social Work from NYU, her Master’s in Public Health from Hunter College, and attended a two-year training program in Marital and Family Therapy at SUNY Health Science Center. She is a Certified Group Therapist through the American Group Psychotherapy Association. Michelle has advanced training in Cognitive Behavioral Therapy (CBT), Acceptance and Commitment Therapy (ACT), Family Systems Theory, and is a Level II trained Eye Movement Desensitization Reprocessing (EMDR) therapist. Now offering virtual reality therapy (VR) for fears and phobias. It’s a newer type of evidence based treatment for social and performance anxiety, fears of flying, bridges, spiders, etc. Michelle lives with her husband and four children in New Rochelle, NY. Maidenberg, M. P. (2016). Childhood, Adolescent, and Teen Obesity: Recommendations for Community Initiatives In The Central Harlem Community. Health and Social Work, Accepted publication. Upcoming May 2016. Maidenberg, M. P. (2016). 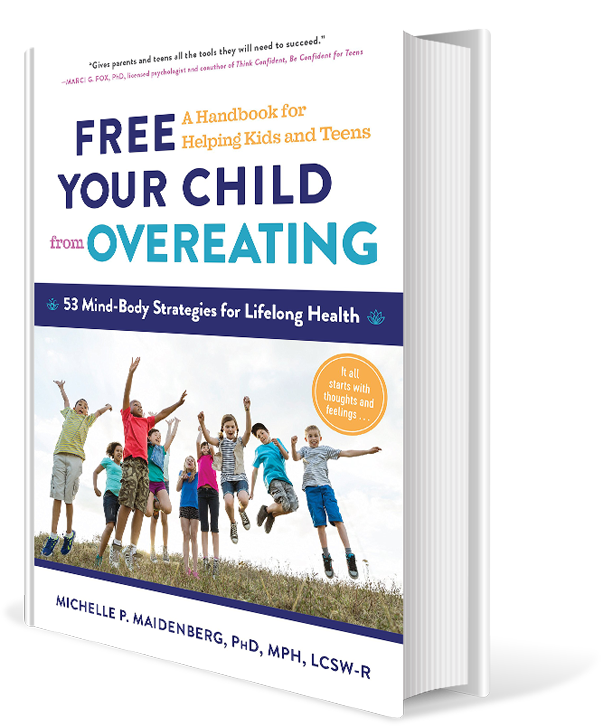 Free Your Child From Overeating: A Handbook for Helping Kids and Teens. 53 Mind-Body Strategies for Lifelong Health Using Cognitive-Behavioral Therapy, Acceptance and Commitment Therapy and Mindfulness. Upcoming March 2016. Maidenberg, M. P. (2014). Childhood and adolescent obesity: Recommendations for a growing problem in the Central Harlem community. Health and Social Work. In Review. Maidenberg, M. P., & Sweifach, J. (2009). Haitians and HIV/AIDS: Fortifying a stronger community. Journal of HIV/AIDS and Social Services: Policy and Practice. Maidenberg, M. P. (2004). Ethics: Asserting myself: Do I dare? Competence & confidence as a new social worker or student. The New Social Worker, 11(3), 4-5. Maidenberg, M. P. (2004). Considerations in supervision: Conducting child sexual abuse survivor groups. The Clinical Supervisor, 22(2), 81-97. Maidenberg, M.P., & Matich-Maroney, J. (2003). Beginning generalist social work skills: Arriving at common definitions and methods of assessment. Maidenberg, M. P. (2003). Adult learning model: A guide to teaching techniques in social work. Maidenberg, M. P. (2003). Advocacy and assertiveness training for social workers. Maidenberg, M. P., & Heft-Laporte, H. (July, 2002). Continuing education: Evaluating, assessing & meeting the needs of our members. Currents of the New York City Chapter of the National Association of Social Workers, 45(8), 4, 9. Maidenberg, M. P., & Golick, T. (2001). Developing or enhancing interdisciplinary programs: A model for teaching collaboration. Professional Development in Social Work: The International Journal of Continuing Social Work Education, 4(2), 15-24. Maidenberg, M. P. (September, 2001). Why participate in continuing education? Currents of the New York City Chapter of the National Association of Social Workers, 14(1), 1, 8.